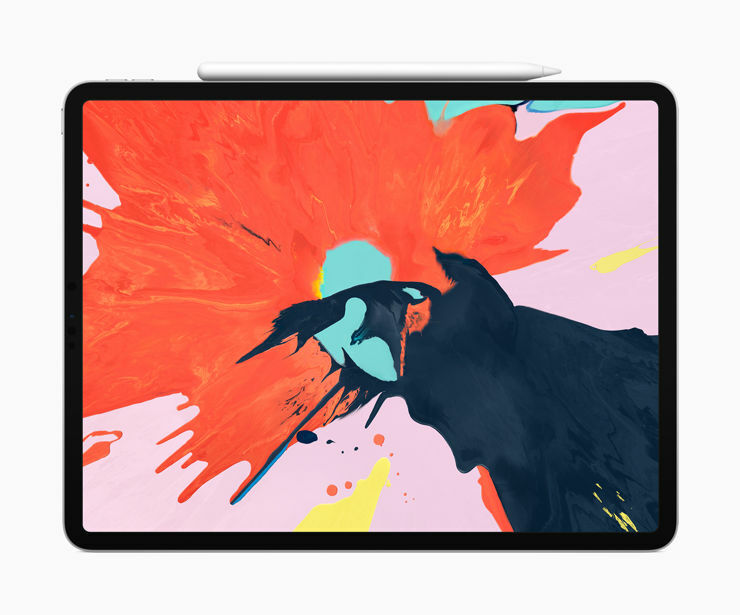 The new iPad Pro in the company of "macs"
Apple presented this year's incarnation of the iPad Pro. 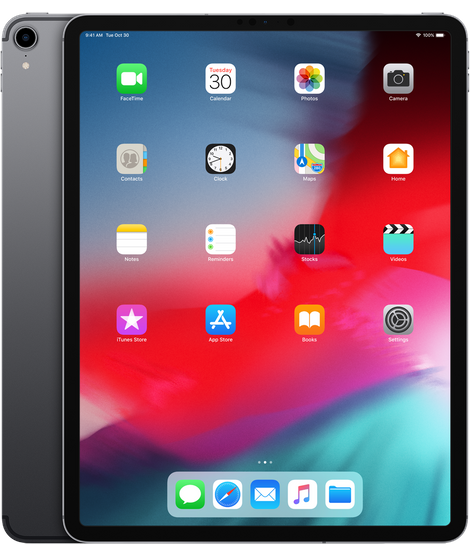 The tablet debuted in the company of new computers, which is a kind of symbol - closer to the laptop, than to the smartphone - after all iPhones were presented at the separate conference in September. The manufacturer presents the new model - traditionally - as the best iPad in history. The tablet has a refreshed styling, is slightly slender than its predecessor (5.9 mm) and has a narrower frame around the screen, called Liquid Retina. The matrix has rounded corners, perfectly matching the shape of the housing corners, and the tablet itself is offered in two sizes - 11 or 12.9 inches. The display resolutions are 2388x1668 and 2732x2048 pixels respectively, and the brightness is 600 nits. The iPad Pro from 2018 can have as much as 1TB of internal memory, and its heart is the octa-core Apple A12X Bionic processor with seven-core graphics and an additional layout of artificial intelligence NPU. The offer will also include models with 64, 256 and 512 GB of internal memory. 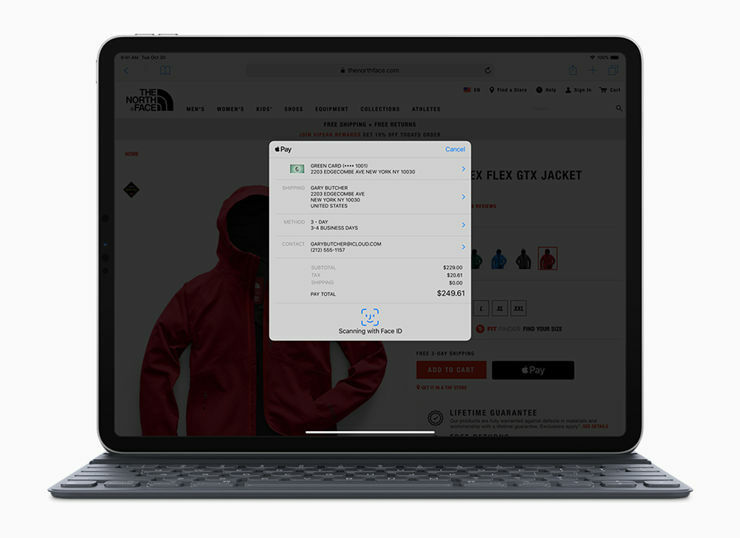 Traditionally, the amount of memory has not been determined, but we have seen the replacement of the Lightning connector with standard USB-C. The tablet can recharge other devices, and additionally - supports the new generation of Apple Pencil. The stylus can be magnetically attached to the iPad housing - and wirelessly charge its battery. The equipment is complemented by four speakers, a Bluetooth 5.0 module and a 12-megapixel camera with a f/1.8 lens. An important change is also the cancellation of the fingerprint reader for Facial Face Recognition. The system works regardless of the position in which the tablet is held. All this can be stored in a magnetically fixed cover, which when folded with a keyboard stand. Depending on the selected memory (64, 256, 512 GB or 1 TB), the prices of the 11-inch iPad Wi-Fi are 799, 949, 1149 and 1549 dollars and 949, 1099, 1299 and 1699 dollars respectively when choosing the model with the LTE modem. In the case of the 12.9-inch variant, prices are 999, 1149, 1349, 1749 USD for the Wi-Fi version and 1149, 1299, 1499 and 1899 for the LTE model. In addition to the iPad, Apple also presented a new generation of the MacBook Air ultrabook, as well as a Mac Mini. 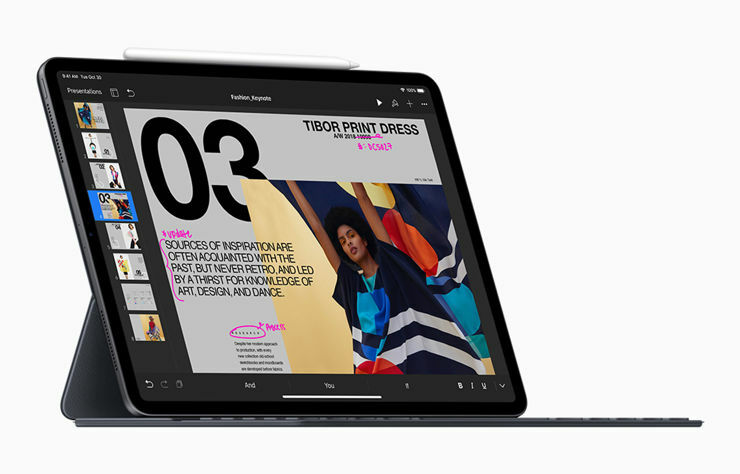 MacBook Air received a 13.3-inch Retina display, backlit keyboard, stereo speakers, two USB-Cs and a larger touchpad and a fingerprint reader. MacBooks Air are equipped with eighth-generation Intel Core i5 processors, up to 16 GB of RAM and SSDs up to 1.5 TB. The prices start from $ 1199. Stationary Mac mini computers also use the eighth generation of Intel processors, they can have from 8 to as much as 64 GB of RAM and SSDs with a capacity of up to 2 TB. These computers have additional Apple T2 chips for higher data security, while in the range of connectors we have two USB, HDMI, four Thunderbolts 3 and an Ethernet socket. Prices - from $ 799. Source GSMchoice.com; viewed: 294 times.